India recently concluded their last ODI assignment before the ICC World Cup 2019, against Australia. India went into the series with an agenda to sort out their team combination before the World Cup, but the question of their long-standing No. 4 problem remains unanswered. In the past few years, they have tried several players at that position including Suresh Raina, Ajinkya Rahane, KL Rahul, Dinesh Karthik, and most recently Ambati Rayudu. However, somehow, none of these players has been able to match the expectations and standards required to play at number 4. 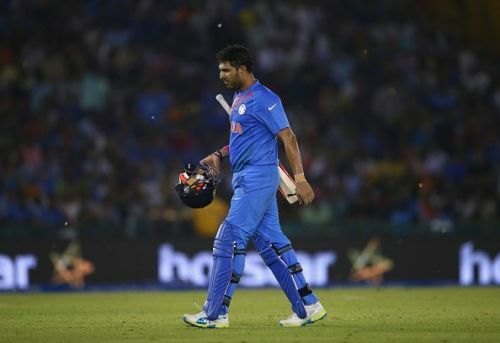 Ever since the World Cup 2011, when the Prince of the Indian Cricket - Yuvraj Singh - was unfortunately diagnosed with cancer, no player has been able to replace him successfully. There was a time Raina was seen as the heir to Yuvraj's throne by the team management, but his inconsistent performances and weakness against the short ball led to his downfall, and subsequently, he was dropped from the team. Fast forward to 2019, and the team management is still looking for a suitable candidate to play at number 4 in the World Cup. Could they look at Yuvraj again to fill the void? Although Yuvraj played his last international ODI game in June 2017, he still has an outside chance to make it to the Indian cricket team. Anything can happen in cricket; we all know how Saurav Ganguly forced Javagal Srinath to come out of retirement and play in the ICC World Cup 2003. In a tournament like the World Cup, every team needs to strike the perfect balance between experience and youth. Yuvraj knows all about playing in the big tournaments, and in fact, he was the most significant force behind India’s two World Cup triumphs. He may not be the same player whose name alone used to instill fear among the bowlers, but he may still prove very useful in handling pressure situations. He could provide solidity at number 4, which the Indian team has been craving for since very long. With only the IPL left to play before the World Cup, the number 4 spot in the Indian team is still up for the grabs. If Yuvraj can pile up some runs for Mumbai Indians in the upcoming edition of the IPL, he will have an outside chance to make it to the World Cup. Yuvraj is one of the most loved sons of the country, and if he succeeds in making a comeback to the Indian team, it will be no less than a miracle. But miracles do happen - just like it did when Yuvraj won India the World Cup in 2011 while battling cancer. Moreover, we all know about the fighting spirit of Yuvraj; he is a lion-heart who never gives up. If he somehow comes back to the Indian Team, it will be his last ride in national colours. That will be a story to tell for the ages, and a perfect farewell to the fighter who gave cricket fans all over the world many reasons to cheer over the course of his career.